Notwithstanding the diversity of opinion and debate that has surfaced throughout the last century and a half surrounding the nature of the Mosaic Covenant and the Law of God, Reformed theologians have constantly emphasized—with a great measure of uniformity—what has been denominated, the third use of the Law. With almost equal uniformity, myriads of objections continue to be raised when this subject is discussed among Christians today. In this episode, Nick Batzig leads a discussion on the law and unfolding redemptive-history. Ernest Kevan has a long discussion on the “Third-Use” of the Law and the Puritans starting on page 167 of his work “The Grace of Law” (the new edition by Soli Deo Gloria). This edition also has a helpful twenty-page bibliography at the end of the book. I found this discussion very interesting and helpful. You mentioned that there is a kind of giving (revelation, manifestation) of the moral law in Adam in the garden and at Sinai in the 10 commandments. Wouldn’t it be appropriate to say that there is also in some sense a giving of the law in the incarnation? For example, we are commanded to obey the law of Christ. Additionally, I think it is important to recognize that the 10 commandments are a manifestation or revelation of the moral law given in the salvation histrorical context of Israel; e.g., establishment of Isreael as a theocracy, the Sabbath – last day of the week principle. The 10 commandments are certainly of value to the NT believer, but there is a danger in making them a-historical. The relationship between Sinai and the law of Christ is more nuanced. I think you alluded to that in your remarks concerning a balanced approach. I have heard believers say in principle that Christ saves us by grace so that we can return to Sinai or that the 10 commandments are the only valid foundation for contemporary gov’t. I think that’s a concern but I’m probably getting a little off topic. In reference to your point regarding Calvin’s second use of the Law as a schoolmaster vs. as guidance for civil law, is it possible that the ambiguity is due to the historical context? Meaning that given the role that the church played in society, as a partner to the civil government, in Calvin’s Geneva and in his Institutes, Calvin would have had the expectation that punishment under the civil law would driven men to Christ and His Church. This of course, would not necessarily hold true today. That is a helpful thought. It may be that Calvin was thinking in terms of the moral law in the civil sphere in Geneva. This would be a useful study for someone to look into with regard to the Genevan Registry. Ah, love the round-table discussions,… don’t think there has been one since episode 100 (best episode). Anyways, very good and thank you. Also Anthony Burgess’s work “Vindicae Legis” would be helpful in your research (if you don’t already have it). Great episode! I was intrigued by the discussion on Calvin’s uses. Also, excellent point with regard to the Confessional teaching of the third use. It is vital to see that all three uses of the law are within the redemptive historical context of the covenant of grace. So the third use also includes a pointing back to the work of Christ on our behalf and is not SIMPLY a rule of life. In conversations I’ve had with men who tend in an antinomian direction, they are in part reacting to a false understanding of the third use that strips away the perfect law-keeping of Jesus. In that vein, I think it is wrong to speak of the use of the law for prelapsarian Adam as the “third use.” The law’s use for Adam is essentially different because it is within the redemptive historical context of the covenant of works. 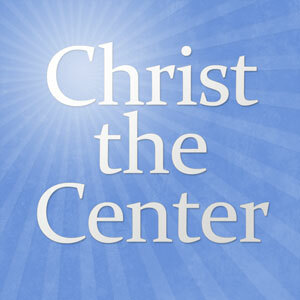 IOW, it is outside the context of the work of Christ. Also, with regard to Calvin’s calling the law’s use as a judicial restraint a schoolmaster, I think we see a reflection of that same teaching in the Larger Catechism Q. 95. The divines write, “and thereby to help them to a clearer sight of the need they have of Christ, and the perfection of his obedience.” So the moral law has use for all men in judicial restraint, both elect and non-elect (1st use in the LC). However, this use is part of God’s redemptive work in the lives of the elect when combined with the law’s second use to drive them to Christ. Of course, it does not achieve that end for the non-elect, because the second use has no effect in the non-elect. I was just looking at the picture you have for this program and notice the Greek omega. Also, according to Kline there should be 2 copies of the law, not two tables each containing a subpart of the law. Mark, I’m glad someone noticed. I was joking with some people about it last night. This looks like some sort of heavenly finger-of-God language. I certainly don’t remember these Hebrew characters, especially the capital omegas. I also appreciate the theophanic lightning-horns Moses is sporting in the full image. Each is something of a luminous-shofar. Regardless, there is more truth in that than you might think. The Hebrew verb for “shine” in Ex 34:29 is related to קרן, a word for horn. “Theophanic lightning-horns.” That does sound Klinean. It made me smile to see the omega. It reminded me of Janet Frazier in youth group 40 years ago. When the discussion leader asked about translations of the Bible Janet stood up and said “I think we should use the King James because that is the way Jesus spoke.” I never forgot that. You have a great resource here. Thanks! Link to Jonathan Bayes helpful piece on three-fold division. I am looking forward to your discussion on Ross’ book. That book is excellent! I see in this some important implications in terms of shaping a gospel conditioned attitude toward the law and its role in the life of the believer. I greatly appreciate your collective wisdom and insight. Again, I look forward to your continued discussions on this important subject. This is exactly along the lines of what I was thinking in my message below, although this is probably a better way to put it. The law (the moral law) is part of the unchanging eternal law, for both Christian and non-Christian; but for the former it not a condemnation because of Christ, whereas for the latter it imposes punishment due to sin. Being a ‘Fordeian’ Lutheran (a student of the late theologian Gerhard Forde), I do not hold to the disputed doctrine of the “3rd use of the law”. Great episode! Some of the series on sanctification and the attacks on Horton and lutheranism made me wonder weather the guys running the reformedforum.wpengine.com web site were actually closet legalists (deep down legalists, though dressed as reformed). This episode proves that they are not legalists at all. Can’t say too much because I pretty much agree with everything that was said on this program. Great job guys! Enjoyed the discussion. I appreciated your emphasis on placing the law in its redemptive-historical context in our conception of the third use. It would be interesting to hear how you would relate this whole discussion to the doctrine of republication. You sort of hinted at this topic in the beginning when you spoke of Israel as God’s typological son, but it would be nice to have that unpacked as to whether or not this typological sonship implies the notion of a republication of the CoW in the Mosaic Covenant. I thought this was a really excellent discussion, but I wonder if the three uses of the law might be simplified a bit by applying Saint Thomas’s division into the three types of law; this was mentioned but not fully exploited. For example, Saint Thomas argues that the moral law remains the basis for all human law, or is this essentially what Calvin is saying. There is one moral law that has different uses—-perhaps this is the point. Regarding the uses of the law, I would want to distinguish an intrinsic and extrinsic aspect of the moral law. That God reign and that God be glorified seems to be the intrinsic purpose of the law and this does not seem to change whether one is justified or not. Of course, for those outside the new covenant this law “condemns” but in an intrinsic sense the moral law is the same for both justified and non-justified. What do you think?